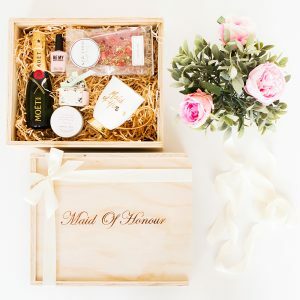 These gift boxes are perfect for your Bride Tribe. As you embark on planning ‘the big day’, you’ll need all the help you can get. However, you don’t just need anyone: you need your best friends. These gifts are a wonderful way to say Thank You to those who will help you say ‘I Do’, that can be treasured for years to come. Choose the Custom option to personalise the engraving, making it even more special. 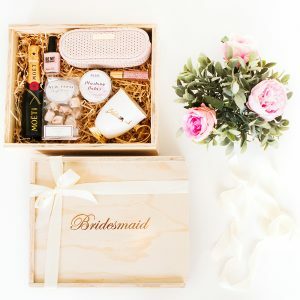 Our popular Bridesmaid & Maid Of Honour Gift boxes come pre-packed with custom-made wood wool – a soft, classic base ready and waiting for your custom gift selections.